EVENT UPDATE: DUE TO ANTICIPATED INCLEMENT WEATHER, THE SUNDAY PERFORMANCE HAS BEEN RESCHEDULED UNTIL MAY 14. MORE DETAILS WILL BE AVAILABLE CLOSER TO THE DATE. FORT WORTH, Texas (March 29, 2017) – Dance faculty and alumni from across the Tarrant County College District will team with guest artists for a special performance in Downtown Fort Worth’s Sundance Square. The “Merge” concert will be held Sunday, April 2, at 2 p.m., on the Plaza Stage at Main Street and 4th Street. The performance will include choreography in the styles of modern and post-modern dance, modern hip-hop fusion, contemporary ballet and ballet folklorico. The performance will feature faculty members Kiera Amison, Claire Augstine, Brandy Niccolai-Belfi, Lacreacia Sanders and Amy L. Jennings. Guest artists include Ballet Folklorico Azteca, Collective Force Dance Company, Ephiphany DanceArts, imPULSE Dance Project, Jordan Fuchs Company: Group Action and Muscle Memory Dance Theatre. This is the Merge concert’s 10th season and second season to take place in Sundance Square. The performance is free and open to the public. For more information, contact Jennings at amy.jennings@tccd.edu or 817-515-7174. Art in the City is excited to once again be showcasing local artists work during the Fort Worth Art Dealers Association (FWADA) Spring Gallery Night. This spring’s event will be on Saturday, March 19th, from 1 – 8:00 p.m at the Haltom City Northeast Center, 3201 Friendly Lane, Haltom City, TX 76117. If you are an artist and would like to showcase your work during the Spring Gallery Night, please download and submit this application form to the address listed. In order to be included in the official FWADA Spring Gallery Night catalog, artists must submit with payment their application on or before January 21, 2016. 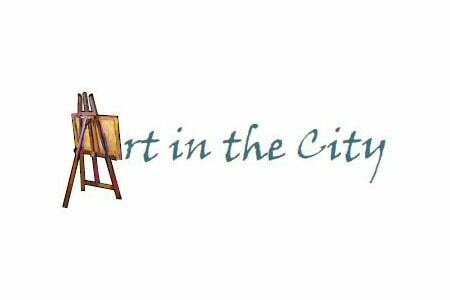 Stay connected with Art in the City by liking their Facebook page. Sent to us from Milwaukee, WI, the 2016 traveling art exhibit has finally made it’s way to Southlake! The work of 10 young artists is displayed in the lobby of Southlake Town Hall. This year’s theme, “Peace through People,” commemorates the 60th anniversary of Sister Cities International. It celebrates 60 years of global citizen action and impact. The featured artwork includes artists from across the globe. Russia, China, and Japan are represented, as well as several states, including one young artist from Houston, TX. The exhibit will remain on display until Wednesday, January 27th, when it will be sent to San Diego, CA for it’s next stop. The exhibit is sponsored by Southlake Sister Cities. For more information about Southlake Sister Cities, please visit: www.southlakesistercities.org.